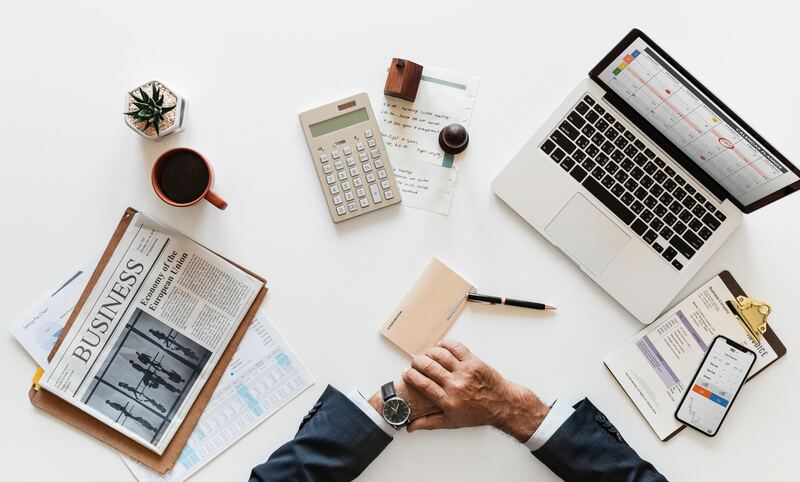 As a tax Accountant In Calgary, I am often asked how business owners are able to prepare their taxes in the most efficient and accurate manner. As the holidays approach, so does the pressure to evaluate your year-end finances and prepare taxes. Keep in mind that it’s important to take advantage and not exclude any small-business tax deductions. We outlined seven tips to help you through the preparation process and maximize your company’s bottom line. Plenty of Calgarian entrepreneurs are guilty of procrastinating when it comes to preparing their business taxes. Luckily, it’s never too late to start organizing bills, statements, expenses, and receipts and thats when a tax accountant in Calgary can come in handy. This is also something to look forward to as this may reveal some customers who are late on their payments. More importantly, organizing helps outline expected revenues and profits for the fiscal year. You can reap plenty of tax advantages if you are working from home. A large portion of your home office expenses can be deducted. Tax accountants in Calgary advise that deductions may include office expenses, utilities, transportation, property taxes, home insurance, mortgage interest, equipment, furniture, etc. Keep in mind, however, that you have to follow certain rules in order to be able to deduct some of these expenses. For example, a particular workspace in your home should be where you do more than 50% of your work and it must be used specifically for business. With that being said, any deductibles that can’t be included in the current taxation can be carried over to the next year. Hiring your spouse or child can allow you to reduce your business’s taxable income and enables you to reduce the family’s overall tax bill as they are likely to pay at a lower marginal tax rate. This is probably one area where you should get professional opinion of a tax accountant in Calgary. Capital assets are properties that can help your business make money over the long-term. Examples include properties, plants, and equipment. They are subject to depreciation and the “half-year-rule” which means you can only claim half of the annual depreciation in the year of obtaining the business. Purchasing your capital assets at the right time can save a significant amount of money during tax season. So, if you are thinking of making a major capital purchases, it is advisable to do it by the end of the fiscal year. This will allow you to take of advantage of the write-off much sooner. Postponing until after the new year’s means you will have to wait a full year before using the maximum depreciation rate. Declaring your company’s bonus if you have made enough profits is another way to significantly reduce your taxable income. Declaring your bonus in the current financial year and withhold payment until within six months of next year, the business can reap immediate benefits from the tax deductions while employees only need to declare the bonuses on the following year. A1 Accounting & Business Solutions is a local accounting firm in Calgary specializing in personal and corporate tax accounting, bookkeeping, estate planning, and assurance for specific engagement. If you think this article is helpful, feel free to give this blog a thumbs up and share us on Facebook.